There's some debate about whether or not the math is right on the 16.2 number or whether this is a proper dedication. My opinion is that, even if that all may be wrong, the pencil STILL is dedicated to Ada Lovelace, regardless of the math, and if even one little girl is inspired by Ada Lovelace and decides to study math and/or computer science, it's worth all the "bad math" surrounding this pencil. Matte matte matte. The white lacquer has a matte finish, along with the grey imprint. The lacquer is thick and well applied, per usual. It all leads up to a matte black ferrule and white eraser. 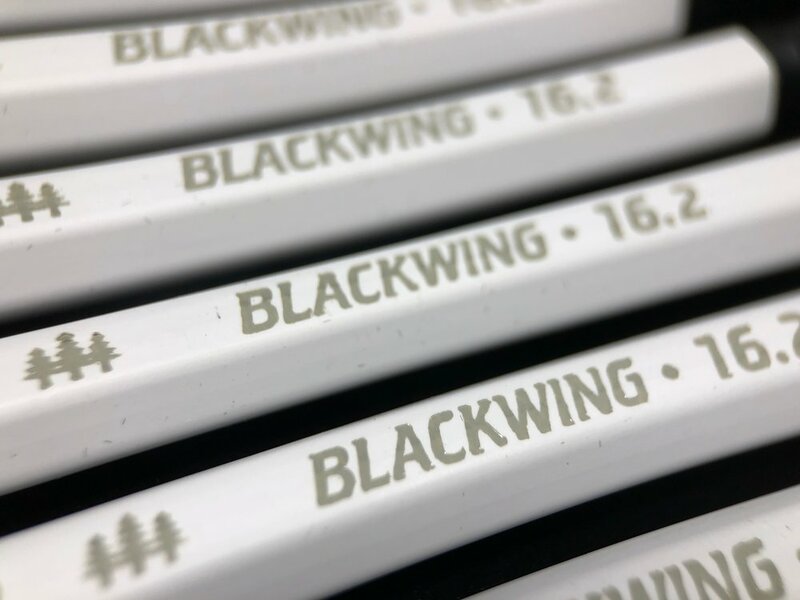 On the flip side of the imprint is a little binary code, in hex shapes, which translates to the ASCII code for the letters AAL, which is how Ada Lovelace signed her work, according to the Blackwing marketing text. 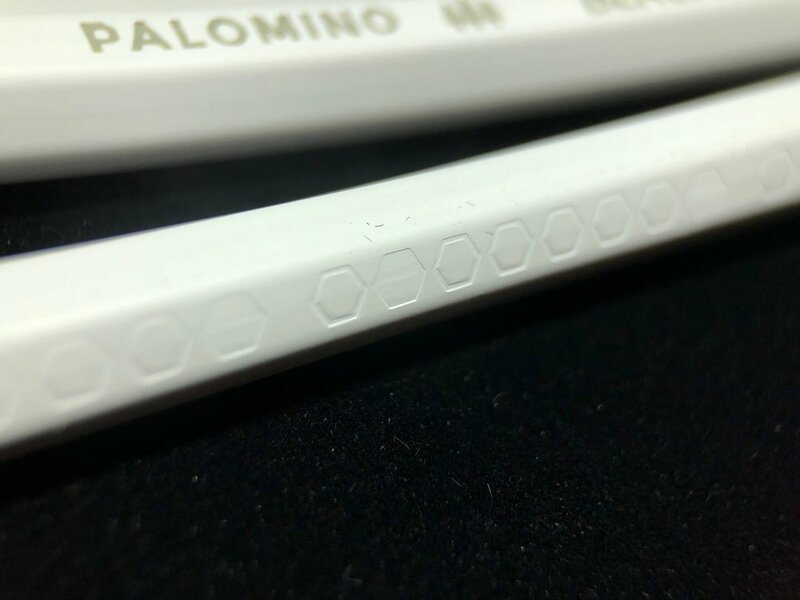 The off/on is a little tough to see in the imprinting, as it is just a matter of a fully flattened hex or just the perimeter stroke of the hex shape. Honestly, it's got a bit of a Stormtrooper look to me, but I am also a giant Star Wars nerd, so most things that are this starkly black and white remind me of those jackbooted thugs with terrible aim. These are of course cedar, and they use the 602 core. Seems like a miss to me, because I think a pencil whose theme is based on a mathematician should have the hardest core. They could've used the Extra Firm core that has become quite popular amongst some pencil fans, or even gone for something a bit stronger and created a new, harder core. Something in the vein of a Mitsubishi Hi-Uni F, possibly? I don't really buy the notion that the Extra Firm core is equivalent to HB, so they also could've done something just closer to a true HB. Last year we saw 2 releases with the Extra Firm core. 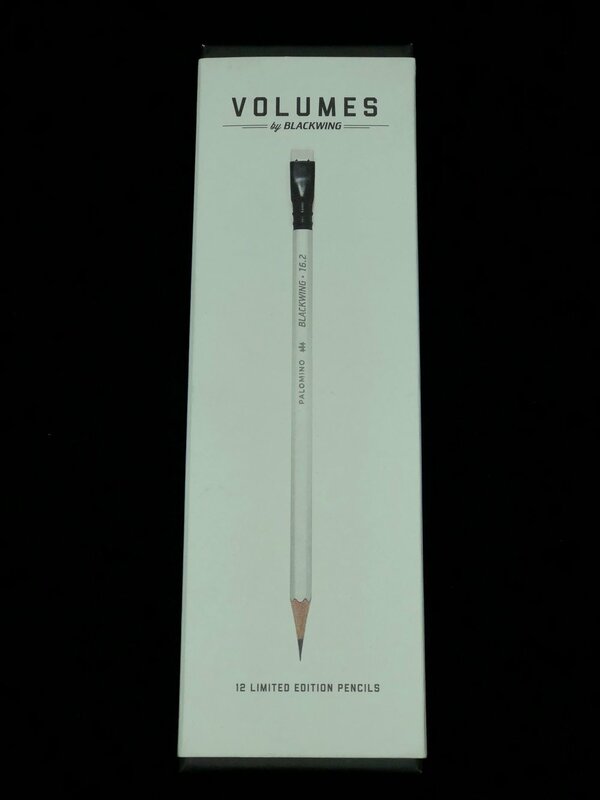 Had they gone with it in this pencil, we would've had one of each core in the Volumes series this year. Instead, we got 2 releases with 602. I like when they spread the core love around. My box had a few weird quality issues. 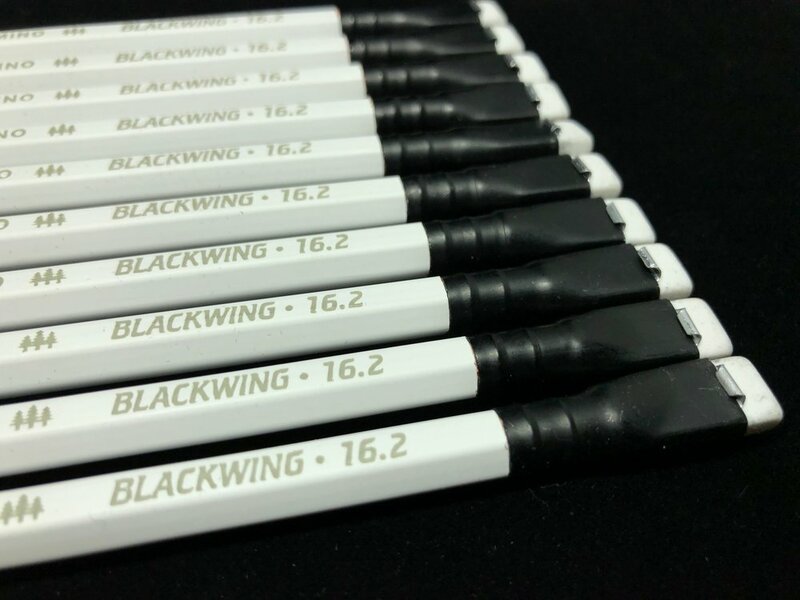 This is the first set of Blackwings I've gotten that had misaligned ferrules. Three of them were off. On a pencil with a standard ferrule, this doesn't matter, and on the original Eberhard Faber Blackwings and Van Dykes that used this style of ferrule, they weren't always straight. 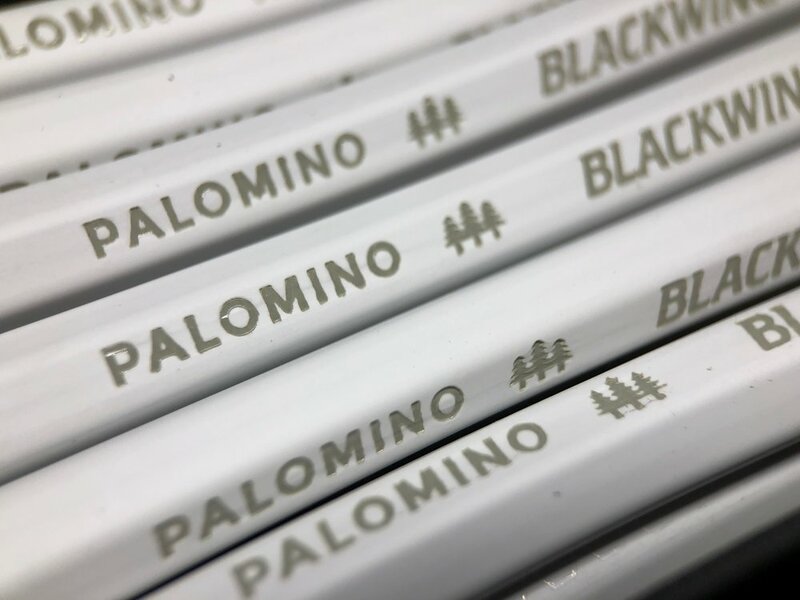 But on a Palomino Blackwing that is $25 a box, and they're normally straight, it does stick out. 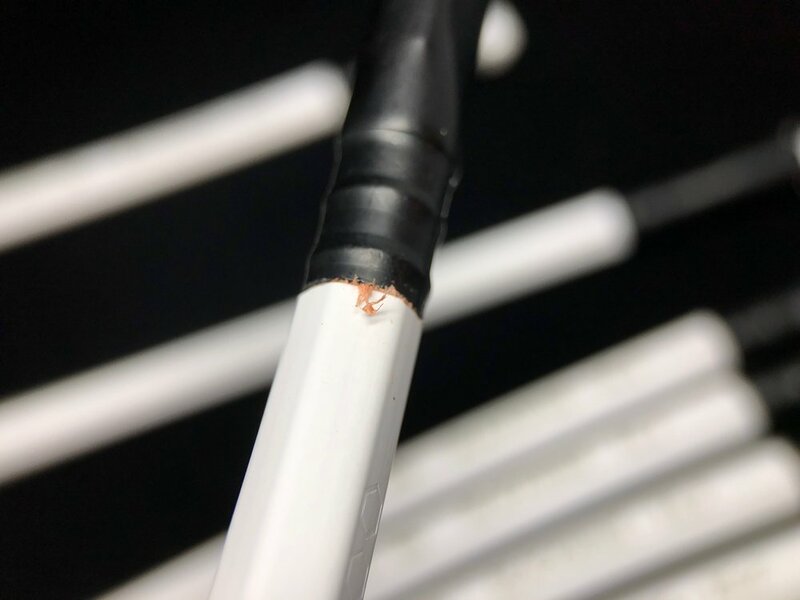 A simple twist can fix the problem, but then you loosen the glue and ferrule. The other problem I had was a couple of my erasers had chunks missing. This is a bigger problem and has been acknowledged by Palomino. All you need to do is contact them and they'll send some replacement erasers. Overall, the pencil feels better in the hand than it looks in photos. The matte finish is nice; it feels very "non-slip". I'll admit that when I first saw the photos, I wrote it off as a Pearl with a black ferrule. It's a lot more, but I think the sizzle is better than the steak in this instance. The story behind the it is great, the pencil is ok. Available from Pencils.com, $24.95 for a dozen.